Properties in San Gimignano Communal Palace average 4.7 out of 5 stars. Property 5: Lovely Cottage with terrace and panoramic view. Garden, BBQ and Pool. Property 27: Lovely cottage with panoramic pool. Just 1 km far from the village Casole. 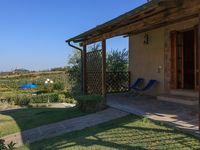 Cottage in the Heart of Tuscany among Vineyards and Olive Groves ! 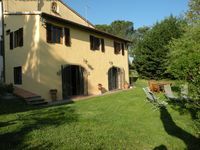 Property 49: Cottage in the Heart of Tuscany among Vineyards and Olive Groves ! We had a wonderful stay at Antonio&rsquo;s place. He was very welcoming and helpful. The house was very comfortable for our family of four and had everything we needed for our 4 nights there. The location was excellent and easy to get around with our rental car- 30 minutes from Florence, 1hr to Pisa, wineries nearby. The best part might have been the view, the idyllic Tuscan rolling hills are a feast for the eyes as you sit outside, or even inside. Small towns are nearby for essentials and restaurants. I highly recommend staying here.